The Open-Source companies Jedox GmbH and Tensegrity GmbH, the Chemnitz University of Technology and the Australian company De Bortoli Wines started a cooperation for the development of a Business Intelligence Add-In for OpenOffice.org. They now seek additional sponsors to start the project. 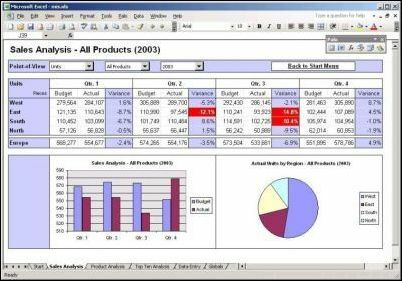 A combination of Spreadsheet-Software plus a capable server for Business Intelligence and OLAP becomes more and more popular. While Microsoft offers the combination of MS Office and Office PerformancePoint Server as a comprehensive BI solution, there is a sophisticated and free alternative: the Open Source based Palo Server. For Palo version 1.5 there already is a free Add-In available which helps convert Excel 200, XP, 2003 and 2007 into a server based solution for analysis and planning. German based ALTANA Pharma successfully implements full-scale scorecard solution based on Open-Source OLAP database “Palo”. ALTANA Pharma Deutschland GmbH utilise Palo (www.palo.net) for their “Selling Excellence Program”. Palo, an Open Source database developed by the Jedox (www.jedox.com), is used as a centrally accessible data storage in an application which, based on Key Performance Indicators, depicts and analyses sales performance and trends for 36 sales regions with more than 400 sales districts. In order to achieve this, Altana elaborated a catalogue of KPIs based on the “European Best Practice Approach”. These KPIs now serve as measurement categories for success and competitiveness. The scorecards, which are based on these KPIs, not only show quantitative measures but also visualise current trends in dynamically generated arrow charts. All scorecard data are held centrally in the multidimensional data model of the Palo server. Scorecards were rolled out to the field sales reps with the help of Worksheet-Server, an Excel-to-Web solution also offered by Jedox. Data are thus accessible for evaluation to all authorised team members through both Excel and a web browser. “With Palo & Worksheet-Server, we have managed for the first time a system rollout during which User-Trainings and the information content, but not the technique were the main subject. With a small but efficient team of specialists plus Jedox, this project was realised in a uniquely short time”, says Gerhard Klingele, Director Finance and Controlling at ALTANA Pharma Deutschland GmbH. Further information about this project is available on Jedox’s home page www.jedox.com, together with information on the whole range of solutions offered in the field of business analysis and planning.